I’ve definitely walked some hard paths with my oldest child. I’ve also definitely found myself wishing that there were some way that I could better help him. Something – anything. I wasn’t even sure if dyslexia would be on our radar – but with the help of Nessy’s FREE WHAT IS DYSLEXIA E-BOOK I saw some familiarity there with my son and thought “this might be just what we need”. When I sat down with my son, he first balked a little at the look of Nessy’s site but I said “it’s not a big deal, it’s just a game or a few activities”. I didn’t tell him I was going to get results from his answers that told me whether he was showing likeliness of having dyslexia. While helping children with dyslexia is Nessy’s main objective – we had a fun surprise when my youngest child, who doesn’t struggle in the least with language, wanted to join in the fun! She played Nessy Numbers, Nessy Reading and Spelling, Writing Beach, and even did the Yeti Mountain Dyslexia Quest too! She was retaining writing and grammar ideas more quickly than she had yet with any other approach! It wasn’t school, it wasn’t learning – it was FUN. My son completed as much of the Yeti Mountain as he could – he found it tiring, and a bit difficult as the challenge progressed. I worried that if he didn’t complete the whole thing that we wouldn’t see the results clearly or that they would be skewed. The cool thing was – at each step along the way I could log in to the admin panel and view his results and see which areas he struggled and how serious those struggles were. And as I watched those results, I was able to see that maybe we should continue the testing and see where it all ended up. He does show some warning signs of dyslexia – nothing too major, but enough that it’s on our radar. At nearly 12, he thought it would be easy and light – but he was challenged, and is still working through the program. I think he realized very soon that this was deep and challenging and not just some silly online game. Who Can Use Nessy’s Parent Pack? If you worry about your child’s language struggles, if you’re wanting something fun and non-threatening to use to help that child? This is for you. 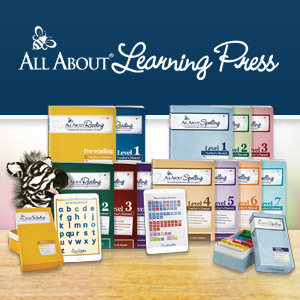 If you want a great supplement to your math, or grammar, or writing? This is for you. This is such a well-rounded program, with an easy to use website, and tons of activities. The students can log on to their own accounts, personalize their monkeys, and go at their own pace. This is a resource that I definitely recommend to any parent wondering if their child may be dyslexic, or have a child who is diagnosed and just needs an approach that is meant for them.